*Important Information* Riu Palace Macao will close due to heavy renovations from approximately Apr 16, 2012 - Aug 3, 2012. Riu Palace Macao will become an adults only hotel beginning Nov 1, 2012. The flights: Although listed as a direct flight, the departure made a stop in Orlando for fuel. Everyone was surprised and made us about 30 minutes late. Rtn was fine. Transfers: Van for 6 and it was fine. Beach: It's Punta Cana... it was great. Pool: Disappointing...didn't feel inviting. But turns out a new pool is part of a major renovation. We went to the Riu Bambu pool. Service: Somewhat disheartening... while service was mostly good, all the workers were sharing their soon to be layoff as hotel scheduled to close today 4/17/12 for 3 months for a major remodeling. All mentioned "no mas trabajo" (no more work) as they served. Food: It was good. But disappointing that the Japanese specialty restaurant closed the night before we got there. Then mid-week the Krystal closed... leaving only the steak house and the buffet. Luckily the Buffet service was excellent. Rooms: definitely in need of remodeling. Entertainment: very disappointed. 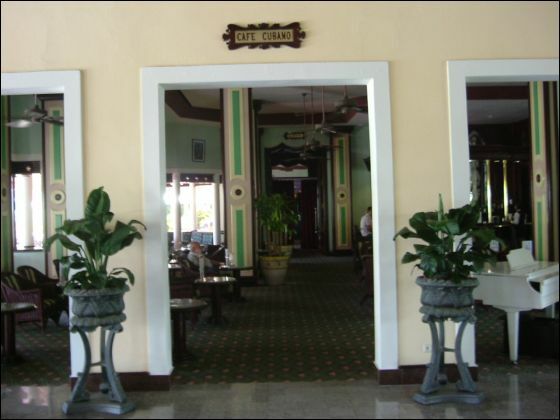 Again, went to the Riu Bambu each night. 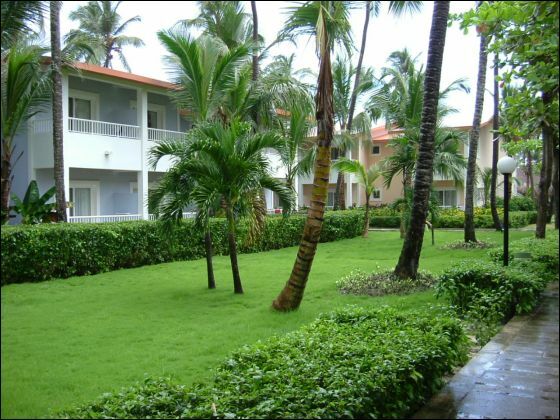 Would you return: probably not to that hotel, the Riu Palace bavaro or Riu Palace Punta Cana looked cleaner. 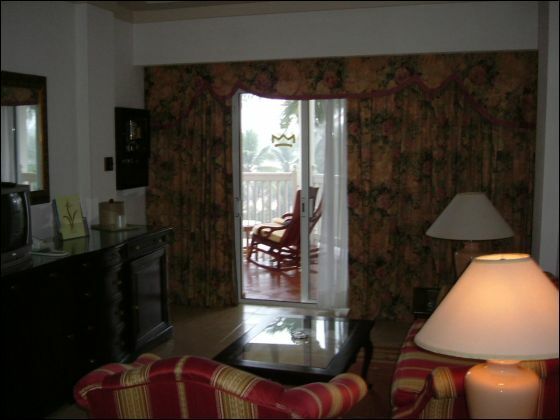 Though I must admit because of the upcoming remodeling... the hotel was almost empty (and emptier as the week went on). It was nice having that peace & quiet while the other resorts were packed. Would you recommend this resort? Knowing what I know now, would NOT have recommended this hotel as currently modeled, but after the remodel it should be better, so maybe later in the fall. 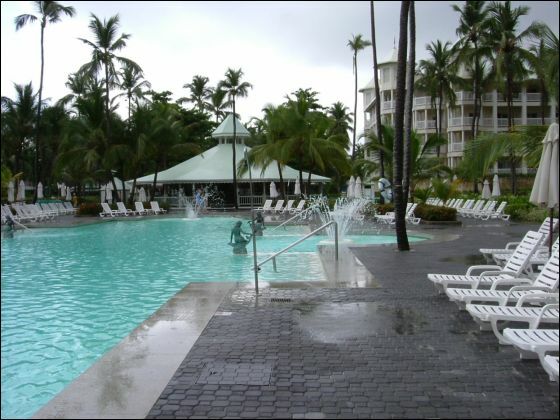 But for now, it was definitely not as nice as the Palace Punta Cana, Palace Bavaro or even the Club Riu Bambu. Are you satisfied with the service provided and received? You guys are great. Would you recommend our service to your family or friends? Always do! Any additional comments: Just that the hotel closing really affected the environment, the feel to the vacay... kind of like a little sadness from all the resort workers. Definitely affected all the tourists. Thank you for the ‘welcome back’ message, and the opportunity to provide feedback. Karen and I had a great time, got some rest & relaxation, and great tans. I could have easily stayed another week. I’ve provided my comments below on the specific areas you requested. FLIGHTS. Our flights were generally fine, as they left and returned on schedule. Aircraft was adequate, and service was acceptable. I travel frequently for business, and I have seen both ends of the spectrum in terms of flight comfort and service. These flights were on par with the average-to-good range. BEACH. Absolutely wonderful and gorgeous. We soaked up the sun on the beach 5 to 6 hours every day. Wish I was there now! Water was warm and clean. Occasionally a guy would come sliding down the beach, pulling a wheelbarrow of coconuts, with a machete hanging from his waist. Fresh coconut milk through a straw right from the nut, on the beach....aaaahhh! POOL. The pool was nice. Not very big, but adequate. 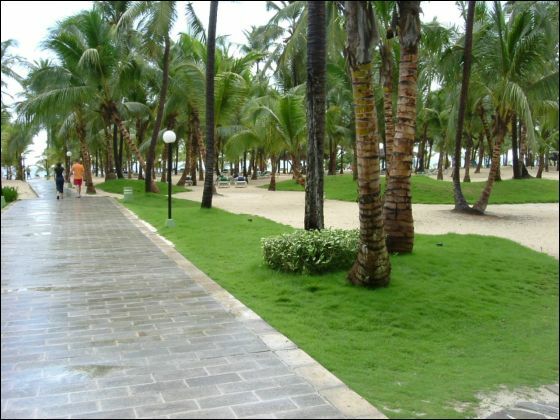 We didn’t spend much time in this area (mostly used it as a foot-path between the hotel and beach!)SERVICE. For the most part, very attentive and prompt. Especially at dinner. The wait staff at the Riu Palace Macao gets a “thumbs up” from me. The maintenance staff, on the other hand, gets two “thumbs down”. Explanation below in my review of our room. FOOD. YUMMERTIME! 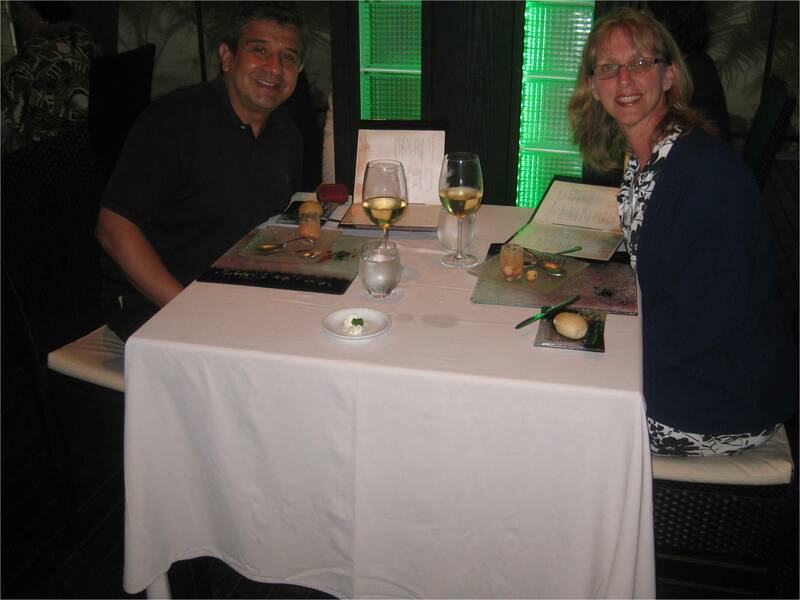 The food at the Riu Palace was well above our expectations going in. The buffet restaurant had a wide variety of salads, fresh fish and shellfish, Italian pastas and pizzas, casseroles, and desserts every night. The a la carte restaurants had delicious food as well; although the “pace” of the meal was sometimes too slow, and the portion sizes were occasionally too small. However, presentation and flavor were well above average and exceeded our expectations. As an aside, the coffee in the Dominican Republic is the best I’ve ever had. And I consider myself a seasoned coffee connoisseur, having not missed a day in 24 years now. ROOMS. Our room at the Riu Palace Macao was nice....high, cathedral ceiling with a mirror, large closet for clothing, a safe for valuables, a television, and private balcony. However, our air conditioner was broken when we arrived. I spoke to the Front Desk on day 1. On day 2, I again spoke to the Front Desk. On day 3, I went to the Front Desk three times to ask for service. After 5 requests, they finally sent a maintenance technician to our room. Within 15 minutes, he had the A/C repaired and the room began cooling off. But for the first 3 days of our trip, our room was unbearably hot and humid, and it took FIVE trips to the Front Desk to request service, which was a 15-minute job. Furthermore, the hotel shut off water to ALL of the rooms several times throughout the week. Often the water was shut-off for hours, during the late afternoon/early evening periods, when folks are typically returning from the beach to prepare for dinner. I don’t have enough information to determine if these issues are “typical” of the Riu Palace Macao due to the age of the facility and/or lack of preventive maintenance, OR if the issues we experienced were an anomaly and uncharacteristic of this property. Absolutely, we will continue and already have recommended your service and agency to our friends and family. 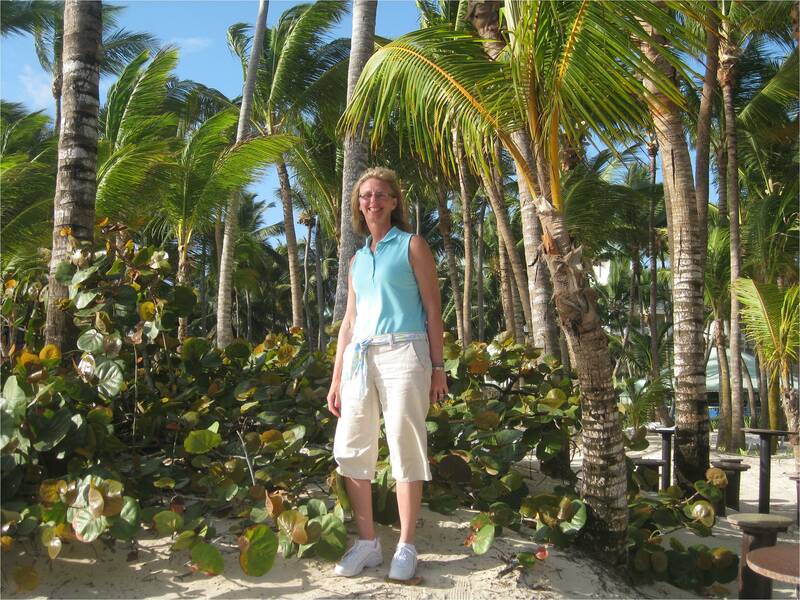 Punta Cana/Dominican Republic provides great value relative to the price for a Caribbean beach vacation. Thank you so much for the time you put into getting my trip together. The Riu Palace Macao was wonderful! As you know,I just came back from Sans Souci in Jamaica, so my standards are set WAY HIGH now. Everything went smoothly getting down there. Hotel check-in was great. I asked if we had a nice room and the manager said if we had any problems at all to call right down. I mentioned that it was Blake's birthday on Saturday and they assured us that we would receive a bottle of champagne on his birthday and said they "never forget" and they didn't! The champagne also came with a little crafty gift with the words Riu Palace Macao on it and a great note from the manager wishing Blake happy birthday. Blake really was touched! When we went down to thank them for remembering, they said they would send another bottle up that evening and they did. The hotel room was nicely appointed and pretty big. We were on the 3rd floor which is the top floor and had a beautiful cathedral ceiling with a huge mirror set sideways on the ceiling. That really gave the room openness. We loved the minibar frig. The beach was fantastic. It was so nice to see waves in the Caribbean. No problem finding chairs at the beach or pool. Food was great. I really enjoyed it. It got a little crowded at the buffet lines and some travelers from other countries don't quite get the "there's a line" concept. The drinks were wonderful and plentiful and we loved the bartenders in the lobby bar. The language barrier was a lot easier than I thought it would be. All in all, a perfect trip. I look forward to working with you all again, when I start to plan our next trip. The Riu Palace Macao was very nice. Thank you for your recommendation. 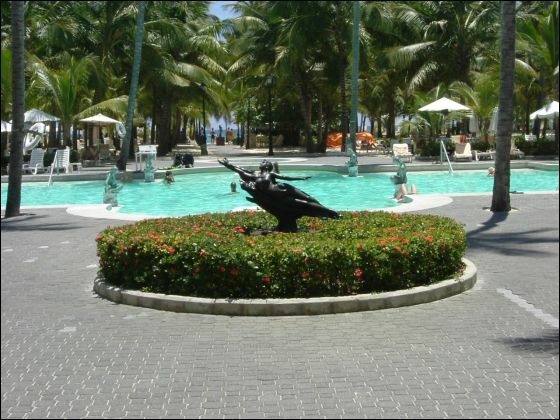 We encountered no problems with our flight or at the hotel the service was above expectation. In the future, we will use your services again it was one of the best we have ever used. Please keep us in mind for any future trips you would recommend. You guys always know the best deals! We had a wonderful time at the Riu Palace Macao. Just what we needed! Thanks for listening to what we were looking for in our vacation - you hit the nail on the head! We did not do anything but relax and had a ball with Lucas. Everyone was so friendly. Lucas learned how to wave while he was there. Everyone everywhere we went all we heard was Lucas, Hola Lucas, Luca, etc. He was just loving it! We plan on going back. We thought the food was fine. The second thing in common with all of them was the difference in the pool. My only complaint was that the pool was 4 foot 11 inches well I am only 5 foot 3. I had to play with Lucas in the kids pool as I could not hold him in the adult pool as I was always on my tip toes. Tom could only hold him, he is 6 foot 2 so did not have any problems. Anyway, the rooms were fine. 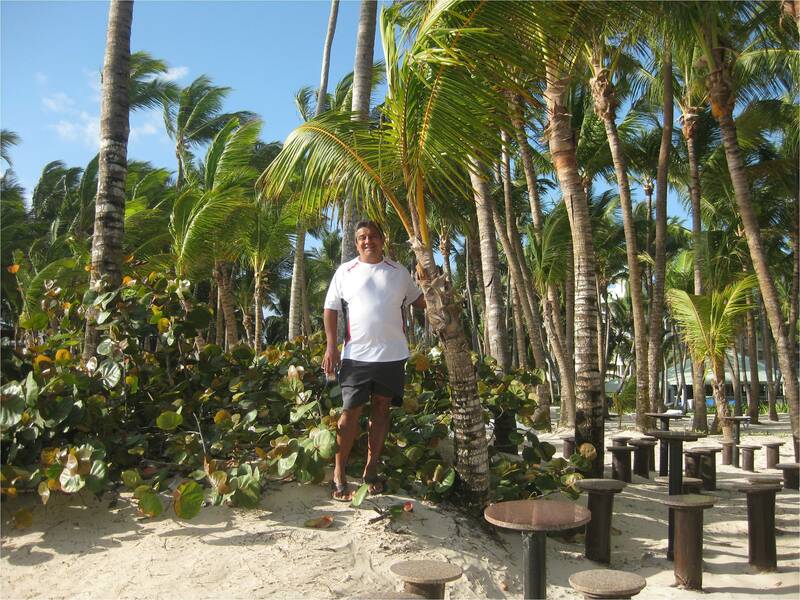 I think the best part about Riu are the people. Everyone was very helpful and very kind. Also we loved that you get a taste of different people. People come from all over the world. It is not just American. We met people from everywhere. It was great. It was a great vacation and just what we wanted. Once again, you did a wonderful job in helping us plan our vacation! We are an online booking partner of Happy Landing Travel, a full service professional travel agency based in Pittsburgh, PA and serving travelers nationwide. Happy Landing Travel Service is a full service travel Agency certified by IATAN (the International Airline Travel Agents Network). Find true client reviews of resorts, pictures and specials on our Facebook Page!